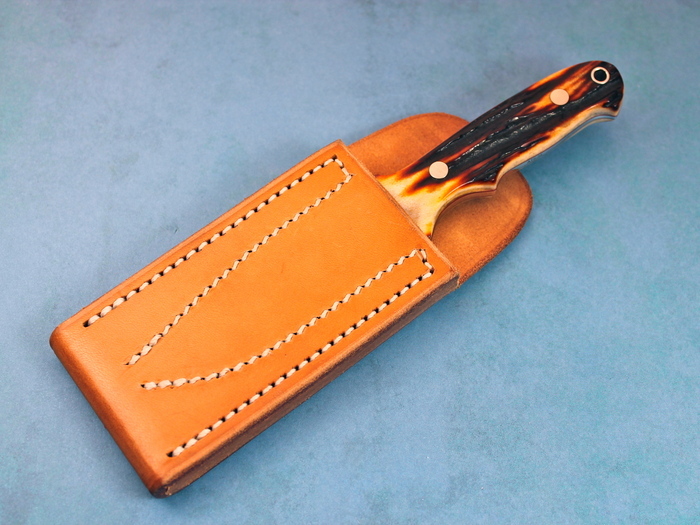 A beautiful New York Special by Steve Johnson. 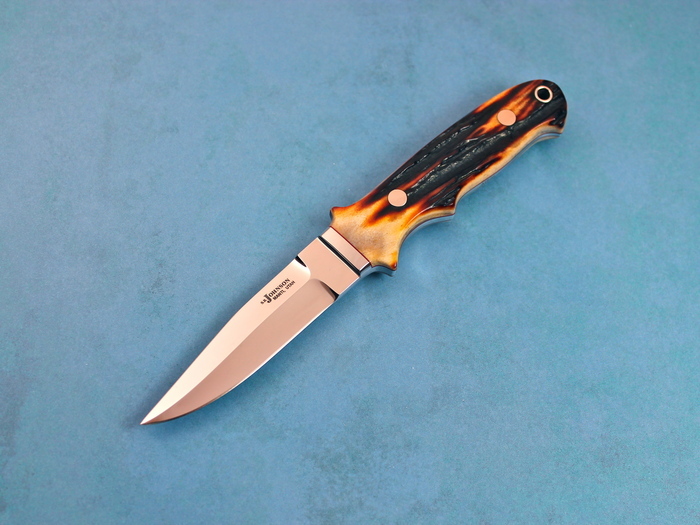 This knife has amazing matching Amber Stag. 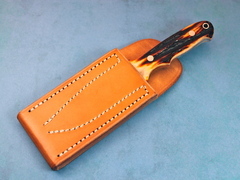 As with the Loveless style NYS, this knife has a snap on for the sheath. 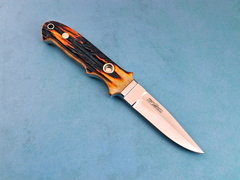 A great perfect knife with double logos by SR Johnson.